Tomorrow, astronomers and physicists from around the word will convene in Tucson, Arizona to discuss the Event Horizon Telescope Project — a global network of 50 radio telescopes that together could soon enable us to photograph the black hole at the center of our galaxy. 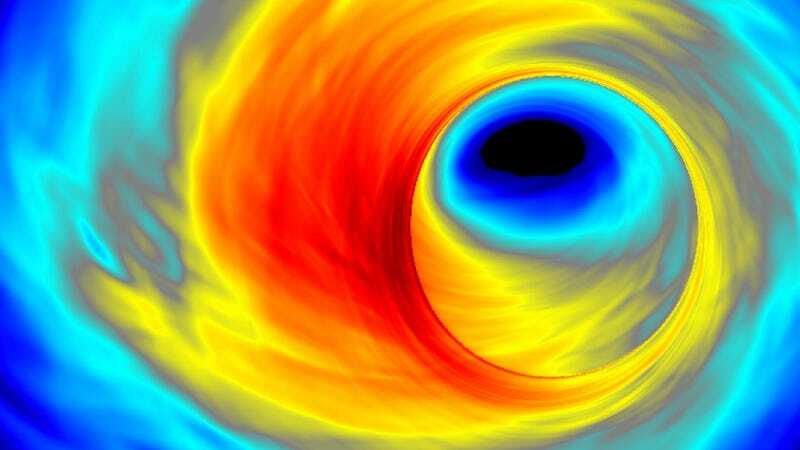 "What is great about the [black hole] in the center of the Milky Way is that [it is] big enough and close enough," explains astronomer Dan Marrone, who co-organized the international meeting with astrophysicist Dimitrios Psaltis. "There are bigger ones in other galaxies, and there are closer ones, but they're smaller. Ours is just the right combination of size and distance." Having said that, it's still going to take just about everything we've got to get our black hole in-frame. "To see something that small and that far away, you need a very big telescope, and the biggest telescope you can make on Earth is to turn the whole planet into a telescope," Marrone said. A telescope the size of Earth snapping the first photos in history of the insatiable, inescapable region of spacetime at the center of our galaxy? Mark us down as "too excited for words," please.